The field of insurance contracts is extensively regulated in Italy, especially as a result of provisions enacted at the EU level. The same complexity is reflected in litigation, with a high number of cases brought before Italian courts each year. Disputes cover not only traditional topics related to civil liability and damage compensation, but also claims for nullity of finance-related insurance products (such as unit- and index-linked policies) because of their alleged lack of compliance with the Italian Consolidated Financial Act, and claims for misselling and incorrect management of underlying assets and personal funds. Contrary to other specific areas of dispute resolution – such as private enforcement, intellectual property and corporate litigation, which are subject to the jurisdiction of specialised courts or divisions – insurance disputes can be brought to the attention of any Italian court, provided that the general criteria on jurisdiction are fulfilled. Usually the place where the insured is domiciled will determine the local court's jurisdiction, so virtually every court in Italy decides on insurance disputes. For this reason, and also taking into account that the stare decisis rule does not apply in Italy, court decisions over insurance claims may vary significantly, offering quite a diversified picture in Italian case law, especially in the absence of clear leading cases rendered by the Supreme Court. the Consolidated Financial Act (TUF)4 and the regulations of the Italian Securities' Market Regulatory Authority (CONSOB), which govern the pre-contractual requirements to be met by the intermediaries' distribution network when selling insurance-investment products (such as unit- and index-linked life insurance policies). Additional relevant provisions derive from the regulations issued by the Italian Insurance Market Regulatory Authority (IVASS), which establishes (1) specific rules regarding each type of insurance contract or some of their specific aspects; (2) transparency and disclosure requirements to be met in the pre-contractual phase of the conclusion of the insurance contract; and (3) post-sale requirements. The Consumer Code5 is also part of the relevant legal framework if the policyholder qualifies as a consumer, and particularly in relation to contracts concluded at a distance or on unfair terms. Finally, the national legal framework is integrated by various EU provisions related to insurance undertakings. Legislative Decree No. 68/2018,6 IVASS Regulations Nos. 39, 40 and 417 of 2018 and CONSOB Regulation No. 20307/2018,8 which implemented EU Directive No. 2016/979 on insurance distribution, also amending the Insurance Code and the Consumer Code. These provisions establish additional rules for intermediaries with particular reference to pre-contractual disclosure requirements and conduct rules, aimed at safeguarding the interests of policyholders. Law No. 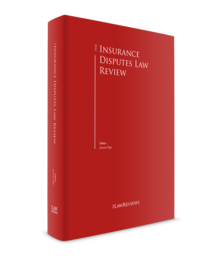 124/2017,10 which provides, inter alia, for new rules concerning competition in the insurance market and uniform criteria for determining the value of non-economic damages. In addition, it establishes that insurance companies will be compelled to offer discounts to customers in the field of motor insurance under certain conditions (vehicles third-party insurance is compulsory in Italy). Law No. 24/2017 (the Gelli-Bianco Law),11 which introduces the obligation upon healthcare facilities to conclude a third-party civil liability policy and establishes specific procedures related to damage claims (see Section V below). damage caused to the Public Administration by public officers. All other risks are, in general terms, insurable, provided that there is an interest upon the contracting party to insure the specific asset or event. In particular, with reference to the concept of 'insurable interest', Article 1904 ICC establishes that a non-life insurance agreement is invalid if the policyholder does not have an interest in the compensation of the damage. Moreover, if the interest never existed or if it ceased to exist before the conclusion of the contract, the latter is null and void. When the interest ceases to exist after the conclusion of the contract, then the policy is considered terminated. Such a provision is grounded on the fact that the existence of an interest is considered a fundamental element of the agreement under Italian Contract Law. As a consequence, it is generally not possible to insure the assets of another subject against damages. However, interest is not necessarily connected to an ownership right, it being sufficient that a relevant relationship is in place between the insured person and the insured object (e.g., the Italian Supreme Court considers a house 'fire-insurable' by tenants, who bear the responsibility if the damaging event occurs). Policyholders are free to insure their risks also with foreign companies, which must nevertheless comply with certain requirements. EU insurance companies can carry out their activities without having their registered office in Italy, under the approval of their home-country regulatory authority. Additional fulfilments might be required, depending on the type of insurance contract. The nationality of the insurance company might impact the law applicable to some aspects concerning the merit of the dispute, as well as the enforcement of a possible negative judgment. With regard to finance-related products, for instance, the principle of home country control could lead to the application of the law of the country of the insurer for issues regarding the composition of the fund underlying the policy; moreover, if the insurer has no assets in Italy, the enforcement shall be started abroad, in accordance with the relevant rules of the selected forum. The involvement of a foreign insurance company in an Italian litigation also implies some minor changes in terms of procedural rules, particularly aimed at granting a full right of defence to the party involved. The translation of the policyholders' writ of summons in a language known to the insurer might be requested under certain conditions, as well as the Italian translation of documents filed by the insurer in another language. In addition, foreign entities are granted with a longer minimum term of appearance. In Italy there is no specific court dealing with insurance disputes, which tend to be decided predominantly in front of civil courts. When a policy is entered into with a consumer, the competent court is the one of the place of residence or domicile of the insured (although alternative criteria for jurisdiction may apply at the plaintiff's discretion). With reference to international disputes, it shall be noted that the jurisdiction of the Italian courts is established pursuant to the Brussels Regulation (Reg. 1215/2012) and thus Italian ordinary courts may have jurisdiction depending on the cross-border elements contained in the insurance contract (e.g., whether the policyholder resides in Italy). As to the procedural rules generally applicable to all insurance-related disputes (i.e., also for foreign insurance companies), the plaintiff shall start compulsory mediation proceedings before initiating full legal proceedings in court; this constitutes a prerequisite for action. A court claim could therefore be lodged only if the mediation proceedings proved to be unsuccessful, as it may be if the defendant does not attend mediation or the parties do not reach an agreement. Italian law also provides for some alternative dispute resolution mechanisms, which are summarised below. For disputes regarding compliance by the insurer or its financial intermediaries (e.g., banks, investment companies and other financial intermediaries) with the provisions of the Consolidated Financial Act – and relevant implementing regulation on distribution of insurance investment policies – claimants may refer the dispute to the Arbitrator for Financial Disputes (ACF), established by CONSOB. Arbitration clauses, on the other hand, are not common in insurance contracts with consumers and must be specifically negotiated and approved in writing if proposed by the insurer. Furthermore, for certain types of coverage (e.g., accidents and health insurance), IVASS provides specific requirements as to the seat of the arbitration. Arbitration clauses are commonly used when insurance contracts are entered into with professionals and cover 'large risks'. In any case, parties are also free to agree for their dispute to be decided by an arbitrator (or a panel of arbitrators) once it has already arisen. This scenario is subject to further developments in the future, as a Ministry Decree is soon expected to set up – as established under the recently introduced Article 187 ter of the Insurance Code – a further alternative dispute resolution mechanism, which is likely to follow the ACF model of specialised arbitral tribunals. This would represent a voluntary venue for dispute resolution and would therefore be more accessible, even for individuals and small companies. Like insurance contracts in general, insurance disputes can be classified into litigation focused on life insurance policies and third-party policies. Recent insurance law hot topics for Italian courts are indicated below based on the same classification. With regard to life insurance policies, one of the main issues concerns the nature and validity of unit- and index-linked policies. Despite the clear approach of the European Court of Justice – which repeatedly stressed the insurance nature of these kinds of products – the debate in Italy is still open, and this is also owing to the case-by-case approach preferred by the Italian Supreme Court, whereby unit- and index-linked policies may be classified as insurance products only if the demographic risk undertaken by the insurer prevails over the financial risk upon the policyholder. On this basis, and in very general terms, Italian judges tend to requalify unit- and index-linked policies as financial products, especially when policyholders' invested premium is not granted. The issue of the qualification of those products is indeed very relevant, as it results in the application of rules (those of TUF) that are different to those insurance companies and intermediaries had in mind when distributing the policies (i.e., the provisions of the Insurance Code), thus exposing them to the risk of a negative outcome in case of disputes. A law was passed with the aim of solving this problem, including unit- and index-linked products in the TUF,12 but the results were not satisfactory. The application of TUF provisions to those products was only partial, and therefore the requalification led to the application of also some other TUF provisions that were not provided for in the law. The legal framework therefore became confused, and such uncertainty (that should be superseded – in the legislator's intention – through the implementation of the IDD directive) clearly impacted the different approaches of the Italian courts. Investors who lost (or partially lost) the invested premiums generally raised several different claims in order to be reimbursed for their losses. A first common claim is the request to terminate the policies (or to award the insured damages) for breach of informative duties, related to both the conclusion of the policies and the contractual relationship. The ground on which the claim is brought is particularly significant since, in case of repayment of the invested premium for nullity of the policy, the obligation to pay back would be, in principle, upon the insurer. Quite to the contrary, liability for damages would in principle lie with the subject dealing with the distribution of the products, which might be either the insurer or a third party (intermediaries or brokers). Furthermore, claims for repayment are subject to a 10-year period of limitation, while five years of limitation apply – according to prevailing case law – to claims addressing pre-contractual liability. Another common request is to declare unit-linked policies null and void, as stipulated in breach of mandatory rules or without a written form (as required by Article 23 TUF). Indeed, by decision of 20 October 2017,15 the Court of Treviso considered that the lack of a framework agreement leads to the nullity of the policy, as concluded in breach of Article 23 TUF. This Article provides that financial products have to be concluded together with a framework agreement, namely a written contract between the intermediary and the investor reporting all information on the future investments (the provision should no longer apply to unit-linked policies after the implementation of the IDD). In such case, the court also ordered the insurance company to reimburse the paid premium. However, the topic is debated as other courts ruled (more reasonably in our view) that the framework agreement is not required if the policy contains all relevant information provided for under Article 23 TUF.16 Some others took the view that, even if the framework agreement is required, the lack of it would trigger a repayment obligation for the intermediary rather than for the insurer17 (unless, of course, the product has been directly distributed by the insurance company). Other claims were grounded on the request to terminate the policies for breach of contractual provisions or annul them because they were issued without a proper consent (or resulting from misleading information provided at the moment of the conclusion of the policies). With respect to the former claim, on 30 April 2018 the Supreme Court confirmed a decision of the Court of Appeal of Milan and declared the termination of the policy because of the inconsistency between the risk profile (and preferred investments) indicated in the proposal form by the policyholder and the assets linked to the policy eventually chosen by the insurance company.18 In particular, the Supreme Court applied the relevant provisions of the TUF and relevant secondary legislation, which provide for precise informative duties to be carried out at the moment of the distribution of financial products, confirming a previous decision of 2012.19 In its decision the Supreme Court pointed out that in case of unit-linked policies, the judge shall assess on a case-by-case basis whether they shall be considered as an insurance or financial product. In the latter case, it shall apply the relevant provisions established by TUF related to the informative and conduct duties lying upon the intermediary. With regard to claims related to third-party insurance, one of the most debated issues recently has been claims-made clauses, which was finally settled by a very recent decision of the Supreme Court. These clauses are contained in third-party insurance policies and generally establish that the policy will cover only those damages for which the third party raises a claim during the period of validity of the policy. However, these clauses can be formulated in different ways and, for example, may also provide that the policy will cover only those cases in which both the damage and the claim occur within the period of validity of the policy. The validity of insurance contracts containing claims-made clauses was subject to extensive scrutiny by Italian courts, which in some cases declared them null and void as vexatious under Article 1341 ICC. The courts considered that those clauses limited the liability of insurance companies, with the consequent need of an explicit written consent by the insured for their validity. In some other cases, the validity of the whole contract was challenged, as it would have allegedly constituted an agreement that was outside of the scope of lawful atypical insurance contracts, thus being unenforceable under Italian law. In particular, the Court confirmed that insurance contracts containing claims-made clauses are not atypical, especially taking into consideration that recent laws expressly govern them. Moreover, such clauses cannot be considered vexatious, as they merely define the object of the contract and do not limit the liability of the insurance company. Accordingly, the potential invalidity of such clauses cannot generally be upheld and must be assessed depending on additional and specific elements, including the way they are formulated. Finally, another topic worth mentioning is that of legal costs. In particular, insurance companies are usually joined in the proceedings to indemnify the insured, and the issue of the awarding and attribution of legal costs is usually debated. The Supreme Court, by decision of 4 May 2018,25 held that the indemnification should cover not only the legal costs that the losing party shall pay to the counterparty, but also the costs related to the legal assistance provided to the losing party, even if these exceed the agreed cap (within the limit of one-quarter of it, as provided under Article 1917 ICC). In the context of litigation involving international parties, the issue of jurisdiction is often raised. A recent case was indeed focused on this topic in the framework of civil liability litigation, and in particular on the possibility for a damaged party to sue in his or her own country the foreign insurance company of the counterparty. The Italian court applied EU Regulation No. 44/2001,26 which establishes different alternative criteria for identifying the court that has jurisdiction to decide on the case. The analysis of the judgment considered that, as a general rule, an insurance company may be sued before a court of the state in which the company has its registered office, in which the event occurred, or in the alternative in the place in which the litigation has been commenced by the subject who suffered the damage, provided that the insured and the insurer can be summoned in the same proceedings. In addition to those general criteria, the court clarified that under Article 9 of Reg. 44/2001, the insurer may also be sued before the court of the state in which the claimant is domiciled if litigation is commenced by the insured, the beneficiary of the policy or the person who concluded the insurance contract. The court concluded – following a case law precedent of the European Court of Justice – that, pursuant to Article 11 of Reg. 44/2001, all the above-mentioned criteria apply also to litigation commenced by the person who suffered the damage, who can therefore directly bring an action against the insurance company of the counterparty if that is possible under the domestic law of the former (which it is for Italy). The topic of unit-linked policies is also often connected to the activity of international insurance companies in Italy. With particular reference to EU companies, one of the principles most often debated is that of 'home country control'. By decisions rendered in 2016 and 2015, the Courts of Turin and Milan rejected the policyholders' requests for the declaration of nullity of unit-linked policies, as these were linked to hedge funds not allowed under Italian law.30 The decisions were grounded on the principle of 'home country control', according to which the investments linked to the policy are governed by the rules of the law of the country in which the insurance company has its registered office. This holds true even if the policies are governed by Italian law. Another recent and much-debated issue among private insurance associations is the decision of the Supreme Court rendered in July 2017 concerning punitive damages.31 The decision was rendered in the framework of the enforcement of a US judgment in Italy and substantially introduced the possibility to recognise the award of punitive damages in a foreign judgment against an Italian company. 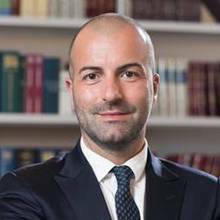 However, the issue did not touch upon the insurance field and is not likely to have an impact on existing Italian insurance contracts, as punitive damages are still not insurable under Italian law. Indeed, the decision won't result in the possibility for Italian judges to award punitive damages either, as a specific law would be required for that purpose. The recently introduced Gelli-Bianco Law regarding hospitals and other healthcare facilities' liability is likely to have a relevant impact on insurance litigation, as reported by preliminary data, which register an increase of disputes in the medical field since its entry into force on 1 April 2017. On the one hand, the law establishes that healthcare facilities are responsible for any damage they (or the operators working therein) may cause to third parties. On the other hand, the former are now obliged to conclude a policy that covers the risk related to damage requests that may stem from such liability. The subjects who allegedly suffered damage can bring an action against the insurance company directly. Under certain conditions and within certain limits, the healthcare facilities have the possibility to reverse the potential damage on the healthcare operator responsible for the illicit event. Before bringing an action into court grounded on the aforementioned liability, any interested party shall initiate a compulsory preliminary attempt of settlement with the other parties involved (including the insurance company), with the assistance of an expert appointed by the court for the calculation of the alleged damage (the proceedings are governed by Article 696-bis of the Italian Code of Civil Procedure). In the alternative, it is also possible to seek the assistance of a civil mediator. This item is therefore likely to increase in importance in the future because of the complexity of the matters, the number of subjects potentially involved and the multiple steps that govern relevant claims. As reported above, disputes related to unit-linked policies are widespread in Italy, with several pending proceedings throughout the country. These policies are nonetheless still one of the highest-selling products in the life insurance market, accounting for 34 per cent of the total premiums in 2017. Preliminary data for 2018 seem to confirm the positive trend. Another topic currently under the spotlight of Italian insurance-related press is that of tampering policies, which were introduced to the insurance market to protect companies from the risk of accidental or intentional contamination of food-related products, which may occur if the systems of production, conservation and distribution of the products are not hygienically appropriate or because of fraudulent acts of third parties. The withdrawal of the contaminated product from the market may have disruptive consequences: it may damage the company's reputation and is usually a high unexpected cost. Tampering policies prevent these consequences by providing reimbursement for the consultancy costs in the various phases of the crisis, the costs directly incurred for the withdrawal of defective products, the information to be provided to consumers and the re-distribution of new products. The area of product liability disputes is currently very active in Italy and tampering policies introduce a new relevant element to the scenario, whose developments shall be closely monitored in the future. Insurtech (i.e., the application of new technologies to the insurance sector) is a growing field in Italy, even though its figures are low compared with the Anglo-Saxon market. Some insurance companies are also carrying out research aimed at verifying the applicability of blockchain technology to prevent disputes and, ultimately, litigation, especially in the medical and transport fields. Attention is also focused on aspects related to the internet of things and artificial intelligence. All in all, this sector is still in its infancy but it is likely to increase. Specific competences will therefore be required in order to deal with potential disputes in the future. 1 Andrea Atteritano is counsel at Hogan Lovells. 2 Royal Decree No. 262 of 16 March 1942. 3 Legislative Decree No. 209 of 7 September 2005, published in the Official Journal (OJ) on 13 October 2005. 4 Legislative Decree No. 58 of 24 February 1998, published in the OJ on 26 March 1998. 5 Legislative Decree No. 206 of 6 September 2005, published in the OJ on 8 October 2005. 6 Legislative Decree No. 68 of 21 May 2018, published in the OJ on 16 June 2018. 7 Published by IVASS on 2 August 2018. 8 Published by CONSOB on 15 February 2018. 9 Directive (EU) 2016/97 of the European Parliament and of the Council of 20 January 2016 on insurance distribution, published on EU OJ on 2 February 2016 (L 26/19). 10 Law No. 124 of 4 August 2017, published in the OJ on 14 August 2017. 11 Law No. 24 of 8 March 2017, published in the OJ on 17 March 2017. 12 Law 28 December 2005 No. 262, which introduced Article 25 bis TUF with the purpose to extend the application of Articles 21 and 23 TUF to insurance financial products. The provision entered into force only on 1 July 2007 after CONSOB's implementing regulation was issued. 13 Court of Appeal of Milan, 11 May 2016. 14 Supreme Court, Joint Divisions, 19 December 2007, No. 26724; Supreme Court, Joint Divisions, 19 December 2007, No. 26725. 15 Court of Treviso, 20 October 2017. 16 Court of Parma, ۱۳ February ۲۰۱۷, No. ۲۳۳; Court of Mantova, ۶ May ۲۰۱۶, No. ۵۳۳; Court of Verona, ۲۸ September ۲۰۱۶; Court of Rimini, ۱۲ August ۲۰۱۶, No. ۶,۵۳۲. 17 Court of Salerno, ۲۴ May ۲۰۱۶; Court of Bari, ۳ March ۲۰۱۱, No. ۸۰۱. 18 Supreme Court, 30 April 2018, No. 10,333. 19 Supreme Court, 18 April 2012, No. 6,061. 20 European Court of Justice, 1 March 2012, C-166/11. 21 European Court of Justice, 31 May 2018, C-542/16. 22 Directive 2002/92/EC of the European Parliament and of the Council of 9 December 2002 on insurance mediation, currently repealed by Directive (EU) 2016/97 of the European Parliament and of the Council of 20 January 2016 on insurance distribution. 23 Directive 2004/39/EC of the European Parliament and of the Council of 21 April 2004 on markets in financial instruments, currently repealed by Directive 2014/65/EU of the European Parliament and of the Council of 15 May 2014 on markets in financial instruments. 24 Supreme Court, Joint Divisions, 24 September 2018, No. 22,437. 25 Supreme Court, 4 May 2018, No. 10,595. 26 Council Regulation (EC) No. 44/2001 of 22 December 2000 on jurisdiction and the recognition and enforcement of judgments in civil and commercial matters, currently repealed by Regulation (EU) No. 1215/2012 of the European Parliament and of the Council of 12 December 2012 on jurisdiction, and the recognition and enforcement of judgments in civil and commercial matters. 27 Directive 2000/26/EC of the European Parliament and of the Council of 16 May 2000 on the approximation of the laws of the Member States relating to insurance against civil liability in respect of the use of motor vehicles, currently repealed by Directive 2009/103/EC of the European Parliament and of the Council of 16 September 2009 relating to insurance against civil liability in respect of the use of motor vehicles, and the enforcement of the obligation to insure against such liability. 28 European Court of Justice, 10 October 2013, C-306/12. 29 Supreme Court, 18 May 2015, No. 10,124. 30 Court of Turin, ۱۷ March ۲۰۱۶; Court of Milan, ۱۱ February ۲۰۱۵, No. ۱,۸۸۴. 31 Supreme Court, 5 July 2017, No. 16,601.